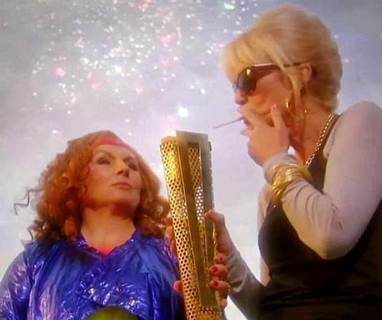 Last night the BBC finally showed the Ab Fab Olympic Special. And it was really funny. Back to to it's old standard. Patsy and Edina were up to their old tricks of trying to muscle in on what hip, happening and cool but ended up in the usual embarrassing mess.